Three months ago, New Balance completed the final stage of the rebranding of Warrior Sports, absorbing the brand into the parent company by unveiling the highly anticipated New Balance Visaro and Furon. The highly drawn out process has certainly created a huge amount of interest in the boot world, as the world patiently waited to see what NB had to offer. The Visaro has gone on to be pretty successful for NB, but the same cannot be said for the Furon. The Furon, designed for the player who wants to take their chances, has had minimal player uptake. Adnan Januzaj was expected to be the headline player for the boot, but the midfielder has now made the unexpected switch to the adidas X15.1. 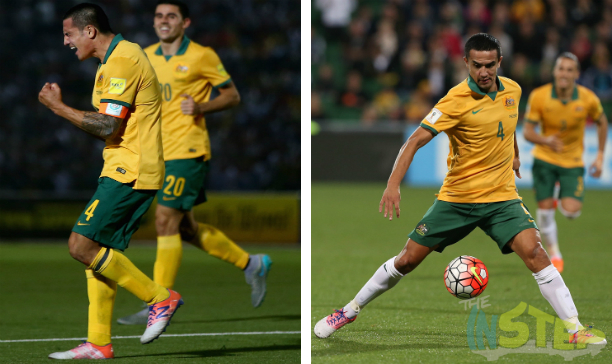 Tim Cahill was expected to be the secondary player for the range, and he stepped out for Australia in Perth and Dushanbe (that’s in Tajikistan, folks) in the New Balance Furon. At least that is what we thought they were. But when we took a closer look at the boots, there were a few things we noticed. The Visaro has somewhat of a scaly upper, which finishes at the midfoot where the FantomFit cage is built, which allows for a more locked in fit. 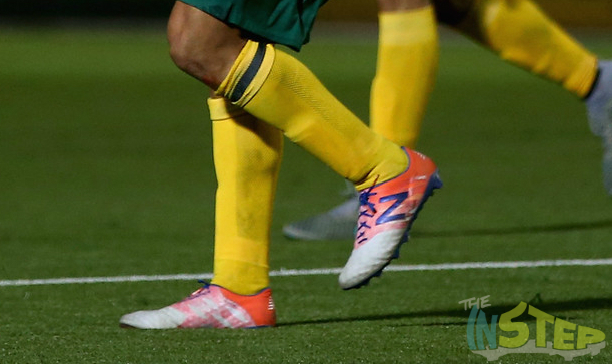 Cahill’s boots, on the other hand, features an upper with large, circular dimples that run from the front of the boot right through to the back of the midfoot. There is also the lack of the FantomFit structure in the midfoot. Instead, we effectively have a one piece synthetic upper that finishes off just before the heel. 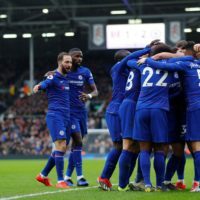 Put two and two together and that means that Cahill is wearing a New Balance Visaro that has been disguised as a Furon. This does suggest a few thoughts. 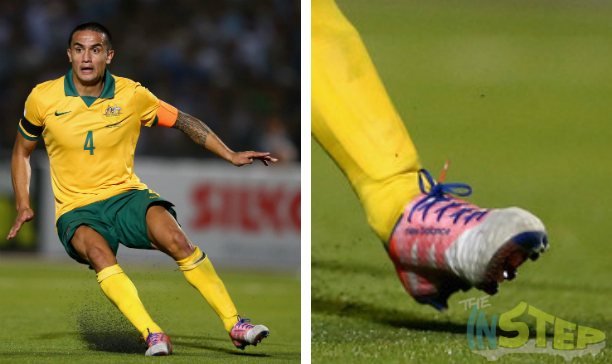 Firstly, it perhaps shows the struggle New Balance is facing with the Furon. 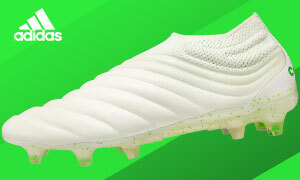 Early reviews of the Furon have suggested the boot is not that good, and the words ‘stiff’ and ‘uncomfortable’ have been used to describe the boots. 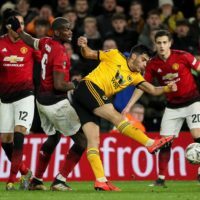 The lack of player uptake seems to suggest the pros think the same thing, and having a headline athlete wear a disguised version of your boot is often a sign of trouble for a manufacturer. Januzaj making the jump from the Furon also compounds the issue. However, it does perhaps pay homage to the New Balance Visaro. Feedback on the boot has so far been positive, the comfortable boot has won over quite a few fans and has shown that the anticipation surrounding New Balance prior to their launch was rightly deserved. Cahill could have easily made the transition to another boot like Januzaj did (and cancelling his contract in the process), but the Australian sticking by New Balance and going with the Visaro does perhaps show how good a boot the Visaro is. Okay, we will admit it is disappointing to see that the Furon is not as good as we thought it was going to be, but the Furon’s loss is the Visaro’s gain. Have you tried New Balance’s new boots? What have you thought of them so far? Share your thoughts in the comments section below.